One of these days, players are going to drop the idea the only way to get a massive stack of chips in a multi-flight tournament is to only play the largest-entry starting flight. Ladies and Gentlemen, let me introduce you to Al Sanchez. 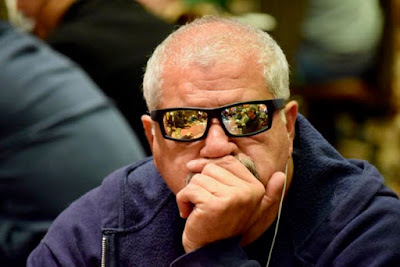 Three flights are in the books, Al played Day 1B, the smallest of the three flights with 154 entries. Al has 90,000 more chips right now than anyone else who has qualified for Day 2. - that's 30BB to you and me.